Pikes Peak: Mountain summit in central Colorado. Rocky Mountain National Park: National park in northern Colorado. Garden of the Gods: Park in Colorado Springs, Colorado. Denver Zoo: Zoo in Denver, Colorado. Arapahoe Basin: Ski area in Summit County, Colorado. Red Rocks Amphitheatre: Amphitheater in Morrison, Colorado. Cheyenne Mountain Zoo: Zoo in Colorado Springs, Colorado. Denver Art Museum: Museum in Denver, Colorado. Denver Botanic Gardens: Botanical garden in Denver, Colorado. Denver Museum of Nature and Science: Museum in Denver, Colorado. Royal Gorge Bridge & Park: Amusement near Canon City, Colorado. Hanging Lake: Lake near Glenwood Springs, Colorado. Mesa Verde National Park: National park in southwestern Colorado. Seven Falls: Waterfalls in Colorado Springs, Colorado. Keystone Resort: Ski resort in Keystone, Colorado. Maroon Bells: Mountain peaks near Aspen, Colorado. The Broadmoor: Luxury resort in Colorado Springs, Colorado. Loveland Ski Area: Ski area in Georgetown, Colorado. New Belgium Brewing: Brewery in Fort Collins, Colorado. 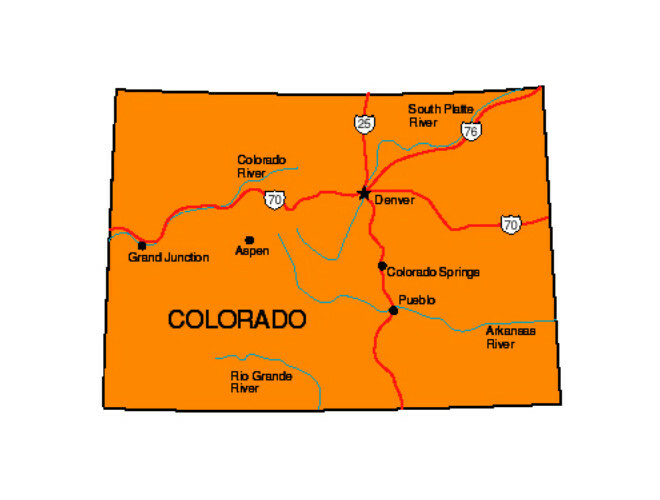 The word 'Colorado' means 'colored' or 'colored red' in Spanish. The Colorado state was named after the Colorado River, which Spanish explorers named 'R�o Colorado' (meaning 'colored river') for the red silt the river carried from the mountains. Colorado is one of the states that form the Four Corners, the only location in the United States where four states intersect at one point. 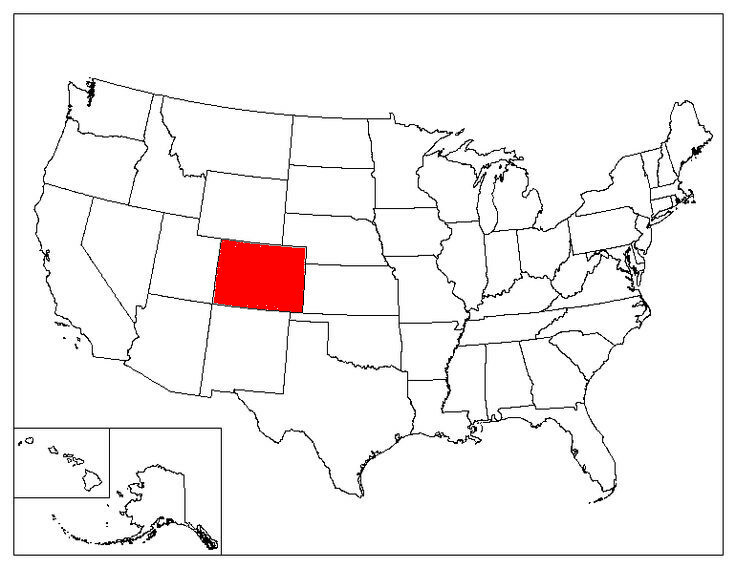 The other three states are Arizona, New Mexico, and Utah. Denver is nicknamed "The Mile High City" because its official elevation is exactly one mile (5,280 feet) above sea level. Dove Creek is the pinto bean capital of the world. The Pike's Peak Cog Railway in Manitou Springs is the highest railway in the United States, with a peak elevation of 14,111 feet above sea level. Colorado is the only state with an official State Cactus: Claret cup cactus. Royal Gorge Bridge in Caňon City, Colorado, is the highest bridge in the United States at 955 feet. In 2012, Colorado (along with Washington) became the first to legalize marijuana (weed) for recreational use. In Colorado, it is unlawful to mutilate a rock in a state park.